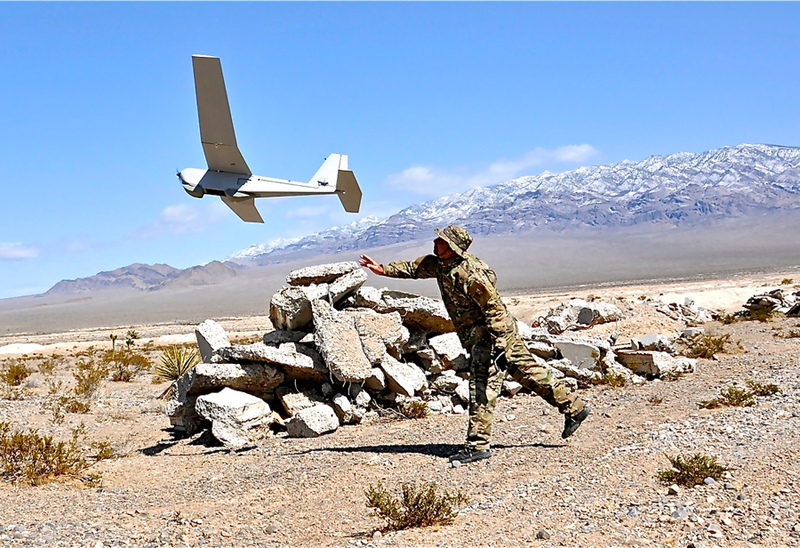 Aerovironment revealed that 19 countries have now bought “thousands” of Puma, Raven and Wasp hand-launched UAVs. At the Satory arms fair in Paris, the company announced new orders from Sweden for the Puma and Wasp, and from Denmark for the Puma. Denmark acquired the Raven in 2007. “Allied armed forces are buying our small unmanned aircraft systems to give small tactical teams the ability to operate more effectively and safely, without requiring support from more expensive, scarcer resources,” said Roy Minson, senior vice president and general manager of the company’s UAS division. The three types carry miniature EO/IR video cameras and are operated from a common ground control system that can be assembled in two minutes and fits into a small backpack. The hand-held controller also displays the imagery. Aerovironment reported revenues of less than $250 million for its UAS division in its last fiscal year. Nearly 50 percent of sales were to the U.S. Army, including some for use by other U.S. armed services. Foreign sales accounted for 17 percent. The company wants to expand its UAS customer base to non-military uses such as border patrol, law enforcement and infrastructure monitoring.